Before we started using AMI’s services, we had just merged our two separate practices into one, and it seemed that what had worked for managing a few staff was not so workable for a suddenly much larger team. Additionally, we were mid-planning stage for the building of a new, larger facility to move the practice into. It quickly became evident that we needed some management skills to make everything run more smoothly for the patients, our staff and ourselves. In dental school, we received zero business training … we knew how to do the dentistry part but not the business side and knew we needed some courses in management. So we hired AMI to help us. 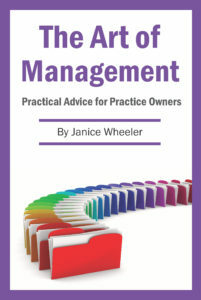 AMI gave us strategies and advice on how to implement policies and protocols to make things more stable and structured, and it is now easier to control the practice and ensure that things are getting done. We learned the importance of training our staff to make things run more efficiently in order to serve our patients better. Dealing with staff disruptions (mat leaves) and so on has become easier. It was very helpful to have an outsider’s (our consultant) opinion and advice on many matters that weren’t always straight forward to deal with. We work in a microcosm whereas he has consulted hundreds of dentists and has a large databank from which to draw experienced opinions. 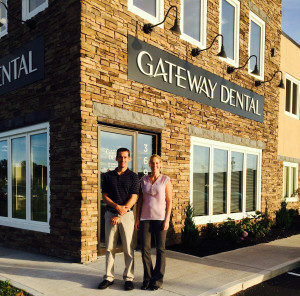 We are now in our new dental facility and feel less stressed, more in control, and more able to focus on our dentistry. Of course, our production levels have increased substantially as a result. Now WE are running the practice as opposed to the practice running us, thanks to our AMI management training and consulting.